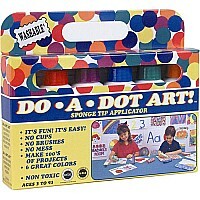 Do?A"Dot 4-Pack Rainbow includes: Red, Yellow, Blue & Green (2.5 oz. per bottle). Made in the USA.